Well, it looks like the Galaxy A8s, Samsung’s first phone with an Infinity-O display, isn’t as good of an overall package as Samsung fans would like. That hole in the display for the camera is already a big point of contention, and then we learned that the phone doesn’t have a 3.5mm headphone jack. And after one of our readers pointed it out, we realized Samsung hasn’t said the Galaxy A8s display is a Super AMOLED panel. Yes, that’s right. Samsung’s foray into the market of smartphones with display cutouts has begun with a phone that gets neither an AMOLED screen nor a headphone jack. And while the latter has been a special feature of Galaxy phones only because the competition had stopped offering a headphone jack, an AMOLED display has long been a major draw of Samsung’s Android phones. A recent rumor had revealed that Samsung would be using LCD displays for some of its A series phones in 2019, but it looks like the company has already kicked things off with the Galaxy A8s. And while the Galaxy A8s could be limited to the Chinese market, it doesn’t excuse the fact that Samsung isn’t at least giving consumers an AMOLED display to make up for that glaringly big hole in the screen. Of course, it’s possible the company’s notched AMOLED panels aren’t yet ready for commercial smartphones or it’s waiting until the Galaxy S10 to bring them to market. 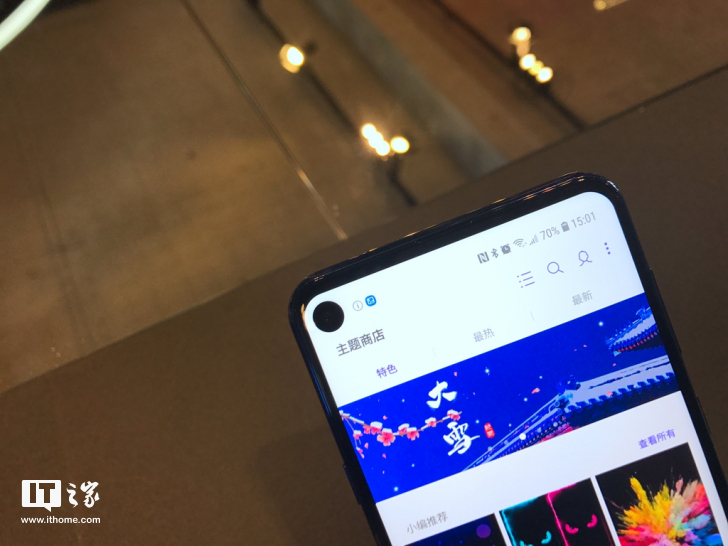 As a result, one can hope that LCD displays on Galaxy A smartphones will be the exception rather than the norm, although nothing can be said for certain right now. Good thing there’s at least something interesting about the Galaxy A8s, a list of which you can find here. damn that hole is so big 🙁 it’s look like the black hole from our galaxy !!! A8s is a good phone but really ugly…a hole with bottom chin ..you could put 5 selfie camera on bottom chin and u Didn’t need a hole at all..bottom chin is a big shame nowadays..
Samsung is makeing stupid ideas one by one. This jear was bad for samsung mobile devision, they will see how bad it can really get for them… Just keep makeing stupih sh** like this and you will folow Nokia. Good job Samsung, good job. Saving the pennies… maybe our customers are idiots and won’t notice.